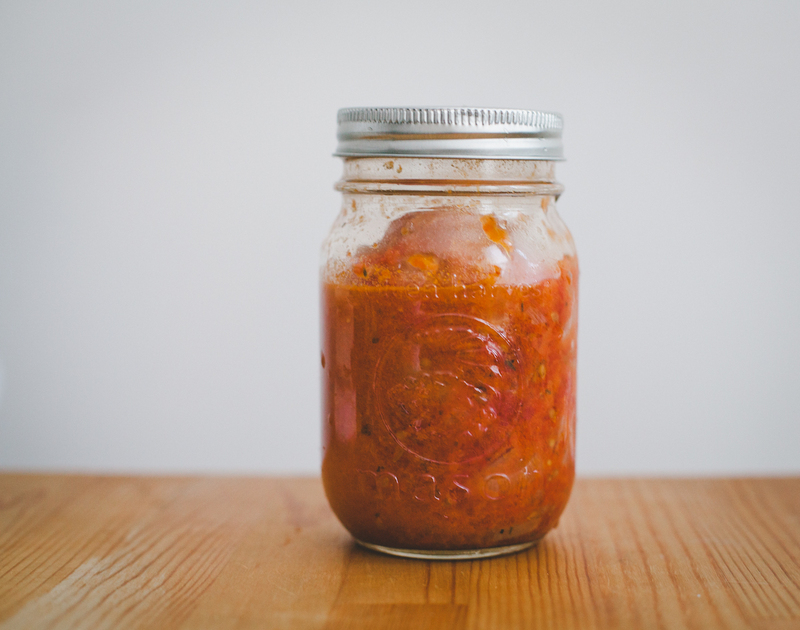 Because it is going to be tomato season soon and because these are the best tomatoes you are ever going to have and the recipe is so easy it almost shouldn’t be a recipe at all. I tried this for the first time last summer —yes, it was about 30C and yes I did leave my oven on for nearly four hours. The reward is succulent salty sweet tomatoes. Notice how there is no salt or pepper in the recipe below. Trust me on that. You will want to put some salt because salt potentiates flavour. Yes. Yes. I was so tempted that on my first batch I did. They were too salty. Bad Magda. Leave it alone. This is not a sundried tomato, this is not an oven roasted tomato, this is a slow roasted tomato. The possibilities of usage are endless. I ate most of them out of a bowl soaked in olive oil. 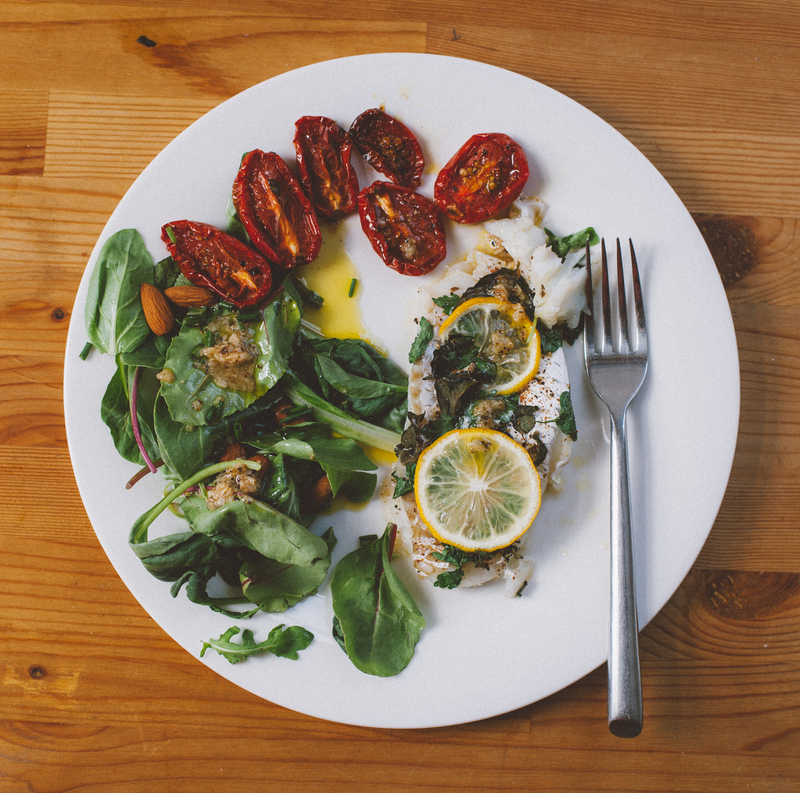 Above, they are served as a garnish to a candida-friendly fish and spinach lunch. I also added a bunch to my homemade tomato sauce I make every year to freeze for the winter. Preheat your oven to 100C / 225F. Wash the tomatoes and halve lengthwise. 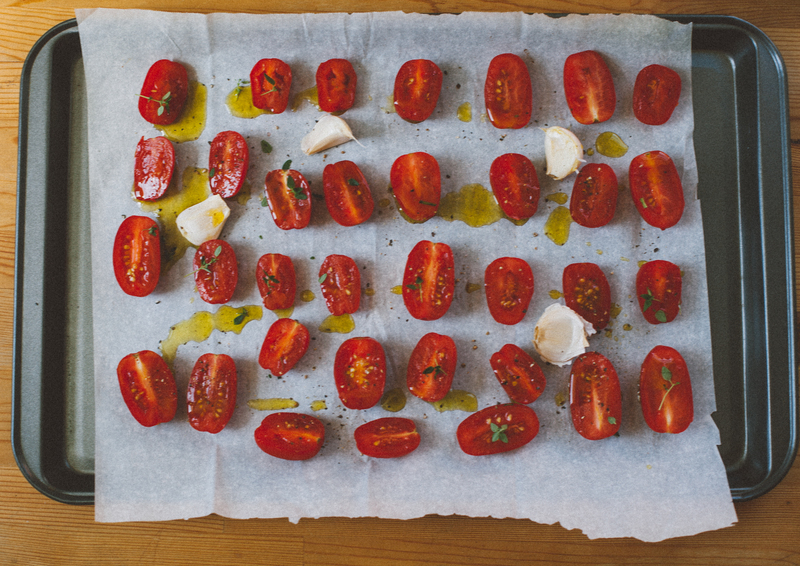 Arrange them on a parchment-lined baking sheet with the cloves of garlic. Pour olive oil them to lightly cover. Scatter whatever herbs you are using. I suggest against basil because basil wilts easily giving a toxic taste. Bake the tomatoes for 3-4 hours. Depends on your oven. Check after 2.5 hours, although you will probably be checking on these more often. 🙂 The tomatoes should be wrinkled and nearly dry with some juice left inside. You can use them right away warm. You can also cool them in a glass bowl covered with more olive oil in the fridge. They will keep for 1 week+ but they have never lasted that long in my house.